Rebecca was open and honest and suggested I speak to other florists to make sure I was happy with her quote. I did speak to three other florists but came straight back. 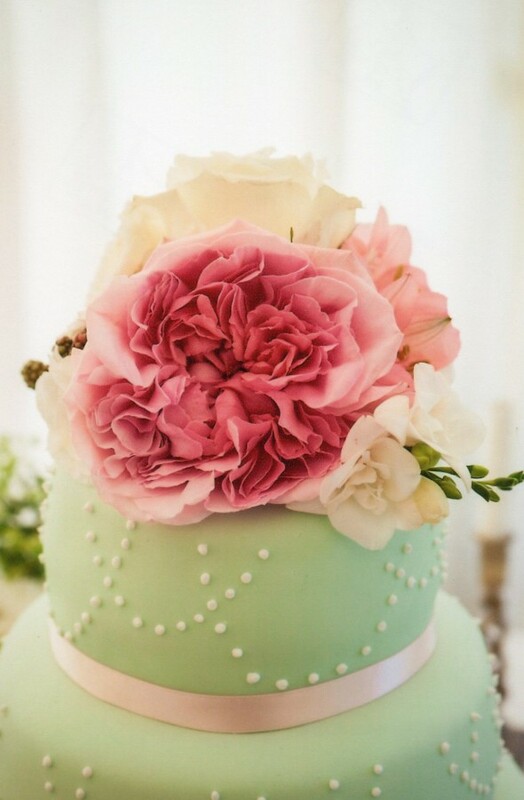 Rebecca was so enthusiastic about my wedding and even advised me on non flower elements like where guests should sit, wedding dresses and shoes! She also suggested closing the marquee doors to the barn so that when we opened the doors to let the guests go in it would smell lovely with the herbs and tuberose. I sent some of guests home with vases of flowers and when I went to visit afterwards their homes smelt of my wedding; I will never forget that scent now. 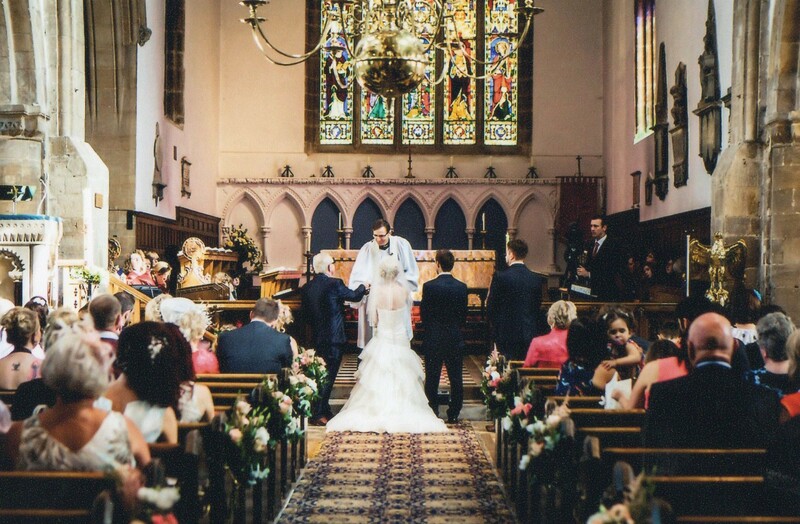 Gemma and Martin were married at Bourne Abbey church and held their reception at The Grange Barn in Morton with an attached marquee. 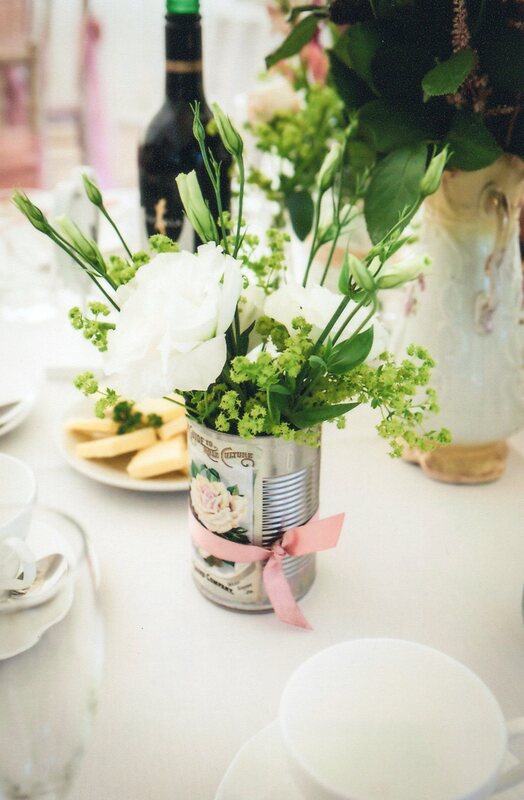 The theme was a hint towards the vintage tea party, soft and frilly and the venue was decorated with mismatched tea cups and traditional cut glass vases. 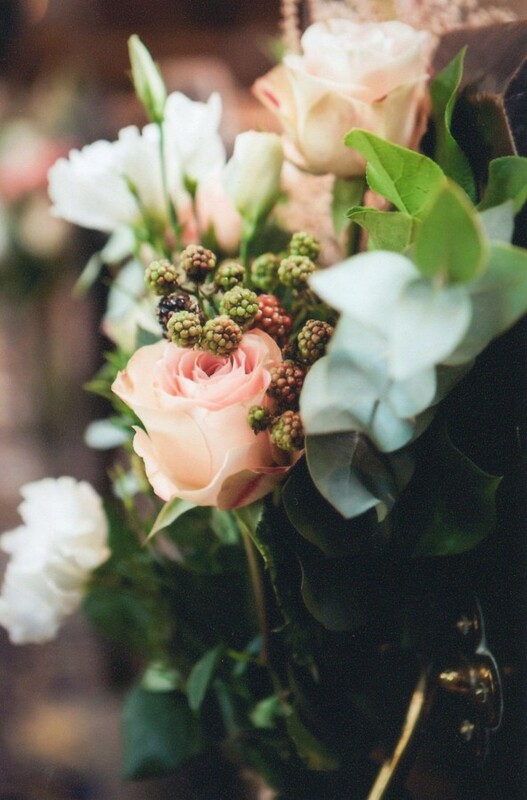 Gemma choose a selection of roses from ivory through to a lovely dusky pink and also the creamy pink tuberose, which together created a beautiful look and delicious scent for their special day. 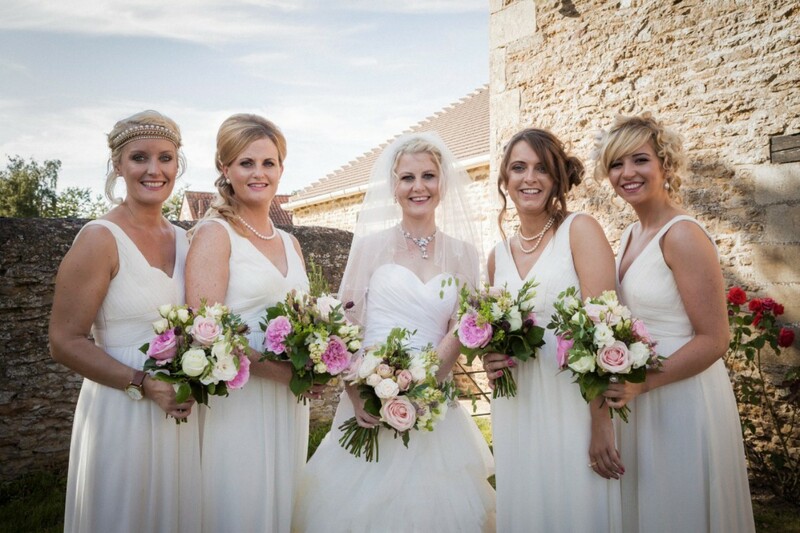 The Bride and Bridesmaids wore ivory and carried hand tied bouquets. The mantelpiece over the barn fireplace at The Grange was decorated with a large striking arrangement and pew ends from the church were reused at the venue in vintage style metal jugs. 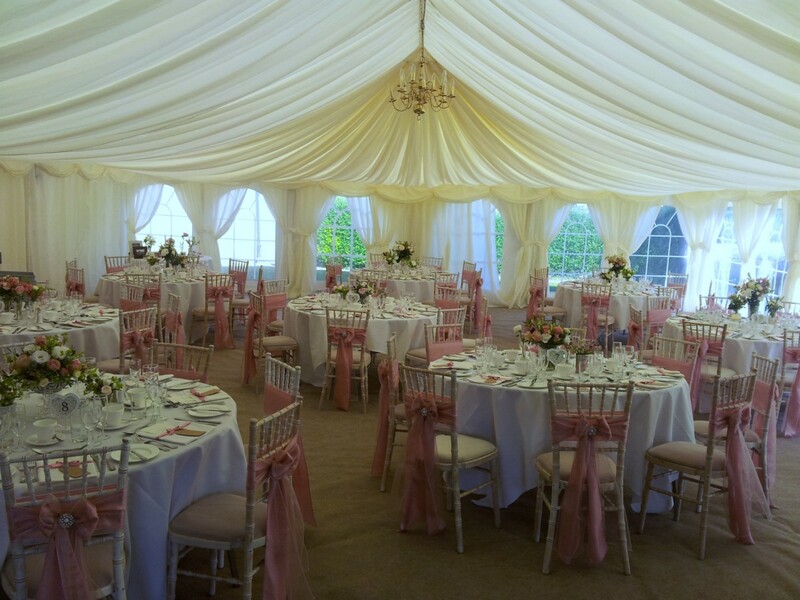 My colour scheme for the day did change from my original plans but Rebecca was more than happy to help me come to my final decision which was dusky shades of pink. My theme was vintage tea party, I didn’t want everything matching. 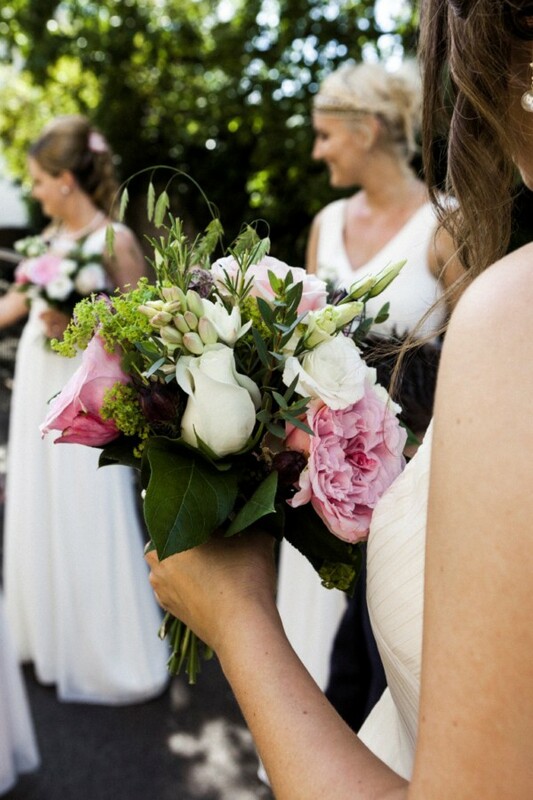 I went to Rebecca with lots of ideas and she got what I wanted straight away, she sent me an email with photos attached and I knew that she was the right florist for me. Rebecca added in many lovely finishing touches and she really did care about my wedding, it made me feel so supported. The pew ends she did for me looked fantastic and she even provided vases so they could be taken from the church and reused at the venue, which she’d suggested as a way of keeping within my budget. Rebecca gave fantastic customer service, it was more than I expected from a florist, she went above and beyond and I would have paid double, she became a friend.